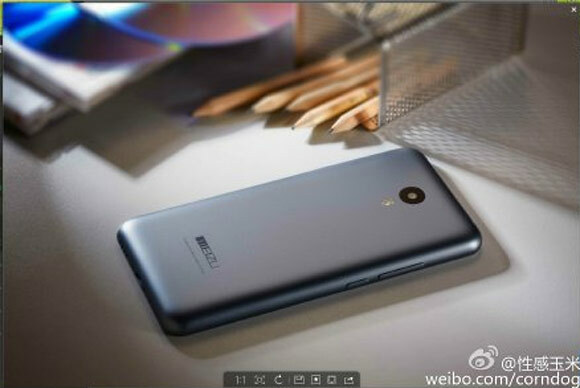 The Meizu m1 note is still a fairly fresh device, but rumors of its successor are already heating up. The new phablet will supposedly be called "m1 note 2" instead of "m2." Anyway, the latest looks like an official promo that shows off the back of the device. The overall design of the plastic unibody seems unchanged, though notice how the Power button is now below the volume rocker. The current model puts the Power button all the way on top, not the best placement considering the m1 note is a 5.5" device. Some suggest that this is just a version of the m1 instead of a completely new device. Rumors so far promise a 5.5" 1080p screen and a pass on the rumored fingerprint sensor. It's not entirely clear what Meizu will be showing off at the alleged June 2 announcement, but the scarcity of rumors about new features lend credibility to the "only a version" theory. The phone looks pretty promising.